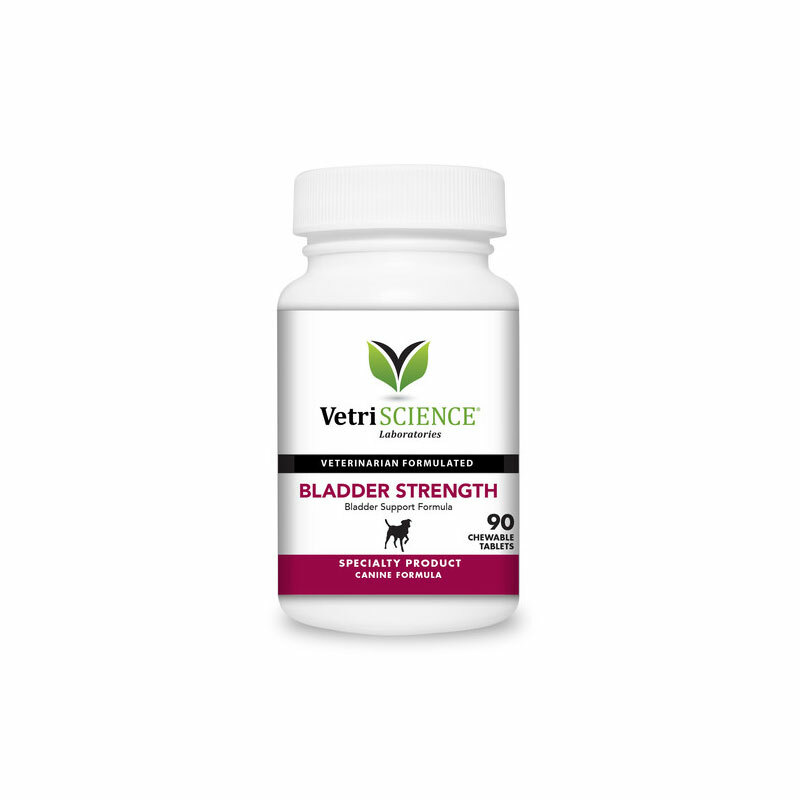 You are buying VetriScience Bladder Strength Chewable Tablets For Dogs 90ct, model #0900516090 at ADW Diabetes, we offer a wide range of pet dietary supplements geared towards helping your pet achieve optimum health. We offer these supplements in both single and discounted bulk packs with the goal of helping you save even more. Shop with ADW Diabetes for all of your pet health supplement needs. The VetriScience Bladder Strength Chewable Tablets For Dogs 90ct contains pumpkin seed powder, Rehmannia glutinosa, wild yam extract, saw palmetto, and olive leaf extract. The combination of these ingredients supports normal hormone levels, renal function, bladder muscle strength, and normal bladder tone after spaying. Use with caution with hypotension. Ingredients: brewers yeast, microcrystalline cellulose, silicon dioxide, smoke flavor, stearic acid, vegetable stearate.